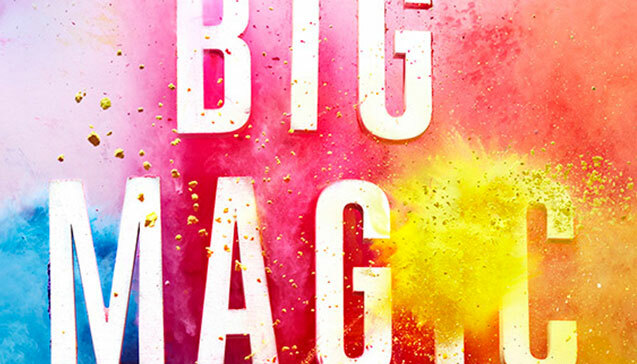 I have read your sweet book Big Magic. In fact, I’m reading it for the second time, as I want to remember some specific phrases and concepts that caught my attention, but I didn’t take them down the first time. Your book came to me at the right moment in one of the more difficult phases in my own creative process (drastically reworking a manuscript, and facing the fear of letting go of something cherished without the guarantee of successfully completing the challenge presented to me). I saw your TED-talk on creativity years ago, loved it, read Eat Pray Love as a result of that, loved that too, and continued to follow you through the years. There are a lot of elements in Big Magic that I find true, amusing, uplifting or simply sane and necessary. My love for creativity is not unlike yours. Without giving it any special name or defining it as a specific entity, I have always trusted inspiration to show up when it wanted to and never tried to force its hand. (I have of course also gone down the road of frustration and suffering, especially when I was having a hard time getting published, but I have always tried to get off that track as fast as I could). So there was a lot for me to applaud or embrace in Big Magic, and I had some nice new epiphanies. Thank you for all that. There is one idea, however, that I found myself strongly disagreeing with as I read it, and as I am now rereading your book I find myself arguing with you in my mind. So I decided I’d write to you about it. I am of course curious how you will feel about what I have to say, but I fully accept the fact that you are probably receiving hundreds of mails and letters around this time and you might have no time at all to reply. You might not even feel like replying. If that is the case, it’s fine with me. I just felt like sharing with you a concept I hold dear. The part in your book that I don’t agree with, is the one about art as decoration. Art as lovely, superfluous finery and artists as completely non-essential professionals in today’s life, who would be cannon fodder (or radiation canaries) in more dire times. That doesn’t work for me and I’ll explain why. First of all: I do agree with you that art should not be taken so seriously it weighs its makers down. There is an element of play and joy that is essential to both healthy art and our well-being. Secondly I also agree that sometimes art is nothing more than mental or emotional decoration, and that’s fine. But I feel it is not only that, and not all the time. To the contrary: I find artists to be among the most important professionals throughout human history. As I grow older and see more of life, I find living consciously is one of the most important things we can do. By which I mean: living in such a way that we are conscious of what we are feeling and how we are interacting with the world around us. Being conscious of what other people are going through. Being conscious of political, economic, social and global dynamics, of our connection to nature, the planet and the divine or spiritual (however vaguely we may choose to define this). It is my belief that one of the purposes of creativity and inspiration is to engender this consciousness. I remember how you talked about the dancer showing people a glimpse of God in your TED-talk. 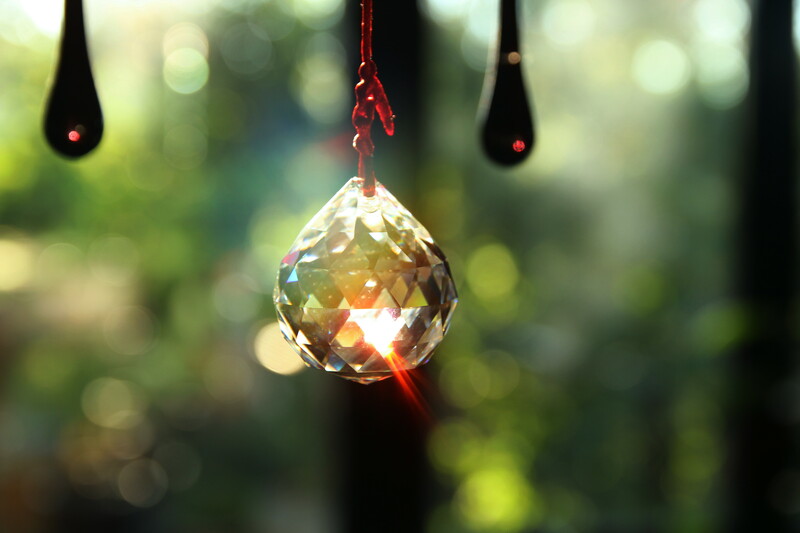 I feel practicing creativity can help people get a glimpse of the mystery of the spiritual layers of life. Because being creative is being in the flow of life, creating. It can get us as close to God as we can possibly be without spending our lives in monastic solitude. It can lift up spectators to a level of experience they hadn’t been to before. Stories, films, music… can reach inside people and touch emotions they don’t know how to voice or how to allow to flow. Art can transform those who allow it to touch them, give people a new sense of direction or a feeling of belonging. A novel, any novel, can allow readers to experience what it means to be someone else entirely, and live this other person’s life. There is no better source of empathy and broadening your inner horizon towards people you might otherwise never meet. 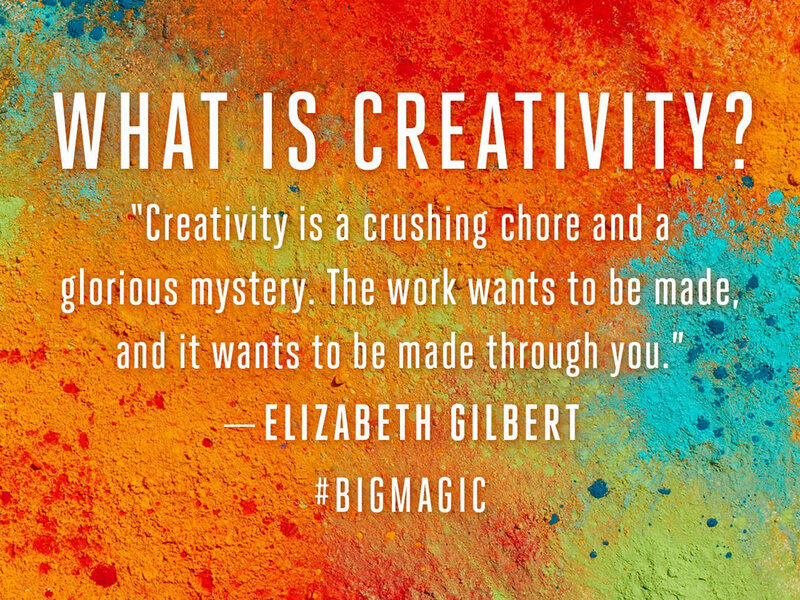 In Big Magic you say that ideas are looking for an artist to cooperate with them because they want to be born. I agree. And I simply can’t believe that all they want is to be born as mere decoration. Ideas have the power to transform. Perhaps not all of them, sure. But I feel that’s definitely what some of them are here for. And by working with them, artists get to touch people’s hearts, open their minds and transform the world, just a little.